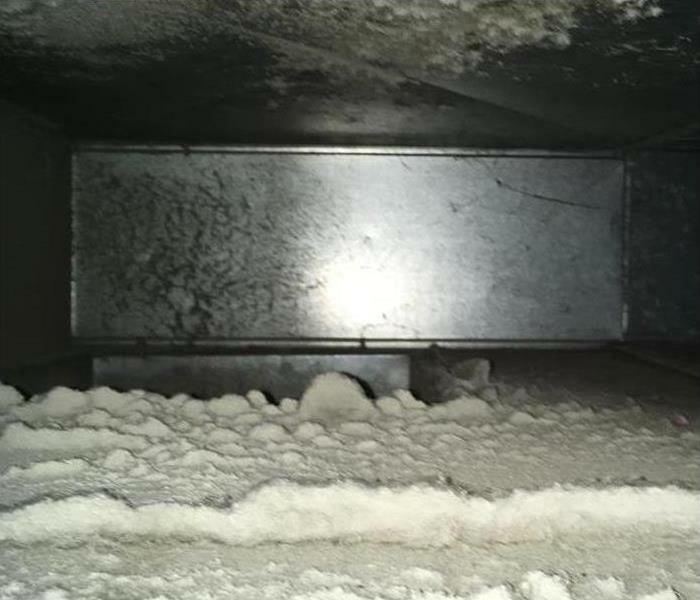 SERVPRO of Lake Charles can improve air quality by cleaning your ductwork. A routine part of SERVPRO of Lake Charles' service is inspecting the heating, ventilation and air conditioning unit (HVAC). Keeping the HVAC system and ductwork clean can potentially extend the life span of the equipment by allowing it to operate at peak condition, which may save you money. Unlike the majority of duct cleaning services, SERVPRO of Lake Charles uses a Portable Ventilation & Air Duct Cleaning System to examine ductwork and make a clean sweep, removing years of dust and grime. * The process begins by using patented equipment including a roto-scraper, which automatically adapts to the ducts shape and diameter while traveling through the duct, removing debris and filth before vacuuming begins. * Next, a powerful push-pull air delivery and collection system transfers the debris from the ducting to a 16-gallon container. * Air is filtered through a HEPA filtration system, removing 99.97 percent of particles in the airstream. HEPA filters capture debris and keep the environment clean. * As an optional process, a sealant or coating product may be sprayed to address odor or microbial concerns. * Filters will either be cleaned or replaced to remove odor and dirt. 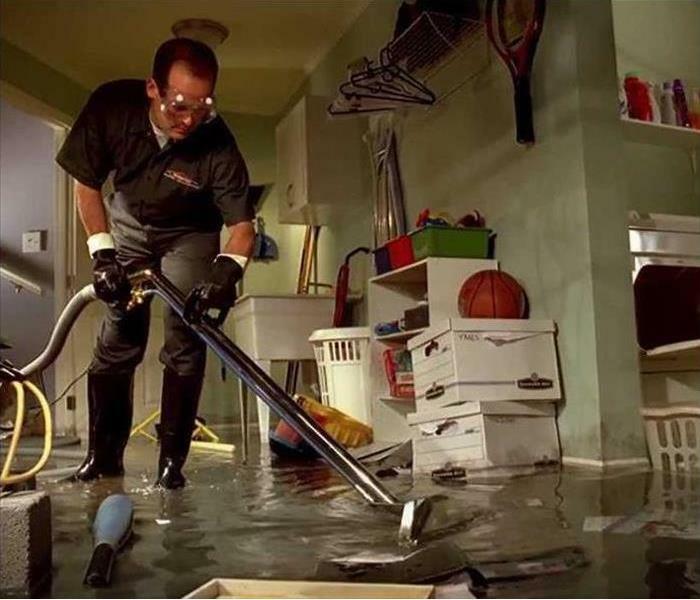 Water damage restoration specialists at SERVPRO of Lake Charles are ready to come to your aid. Is your Lake Charles, LA,, business in a building that is comfortable, dry and weatherproof? If so, thank the heroes responsible for exterior maintenance. It is their job to keep your building maintained. Proper maintenance ensures that the weather stays outside where it belongs. 1. Inspect the roof. Look for areas where the roofing material needs repair. Check the vents, air conditioner and other features attached to the roof to make sure they won’t leak. Check the gutters and downspouts. Make sure that rain water will flow down and away from the building. Fire Damage in Lake Charles, LA. After you initiate the fire claim, you will want to get a fire restoration specialist from the Lake Charles, LA, area on the scene to board up and tarp your facility, mitigating further damage and loss. If you already have a plan in place with a restoration expert, then call them and get the process started. Keep in mind that your insurer may require you to mitigate further loss, meaning that if you don’t, then your coverage may not kick in. What you don't do after a flood can be as critical for your safety as the actions you take. It is important to remove flood water to limit water damage, but you should also avoid doing these three things after a flood. Standing water resulting from a flood is considered Category 3, or black water. It may contain contaminants such as chemicals, heavy metals, microbes, or solid waste. Keep unprotected skin from making contact with this infected water, and do not allow humans or animals to drink it. If you attempt to mitigate damage in a flooded home, be sure to wear personal protective equipment, such as waterproof boots, hip waders, and heavy work gloves. If mold may be present, you should also wear a respirator. You may risk electrocution if you attempt to cross flood water to shut off a circuit breaker. There is no guarantee that water-damaged electrical components will function normally. Furthermore, neighbors may be running a generator improperly and back-feeding electricity into the grid. A utility company technician or a licensed electrician can disconnect the electrical meter to ensure that there is no electrocution risk. 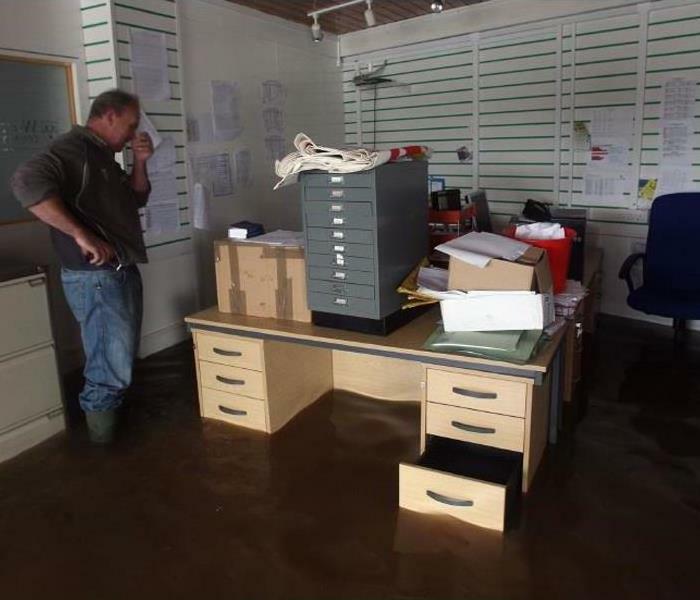 You should also exercise caution when dealing with flood-damaged electronics, which are likely to short-circuit. The longer water is left standing or moisture lingers, the more likely mold growth will appear. Mold can begin to grow in a flooded home in 24 to 72 hours. Call SERVPRO of Lake Charles @ 337-478-1133. You were not expecting your Lake Charles home to flood from last night’s thunderstorm, but it did, and water is everywhere. Flood waters contain contaminants like chemicals, raw sewage, and dead animals, which is why you should never hesitate to call in the professionals. Our techs set goals to make your home clean and safe after storm waters enter your house. Whenever it is possible, our crews can restore your home to its pre-storm condition. Plus, they strive to preserve many of the contents inside your home. SERVPRO flood damage teams in Lake Charles are highly trained and come ready to get to work when they arrive. The first step the team takes on is stopping the flow of water from entering your home. Hopefully, that has already occurred. Next, they start extracting the water with various pieces of equipment such as a truck-mounted or portable extractor, wands and pumps that can remove water from the structure fast. The type of machinery we employ depends on the amount of water inside affected areas. 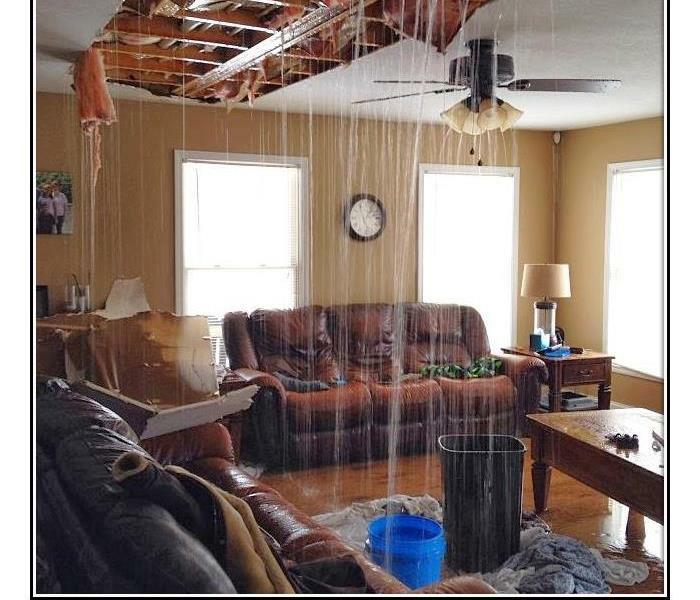 SERVPRO of Lake Charles flood damage restoration services are fast and ready to help. We are available 24/7 to assist you in your time of need. 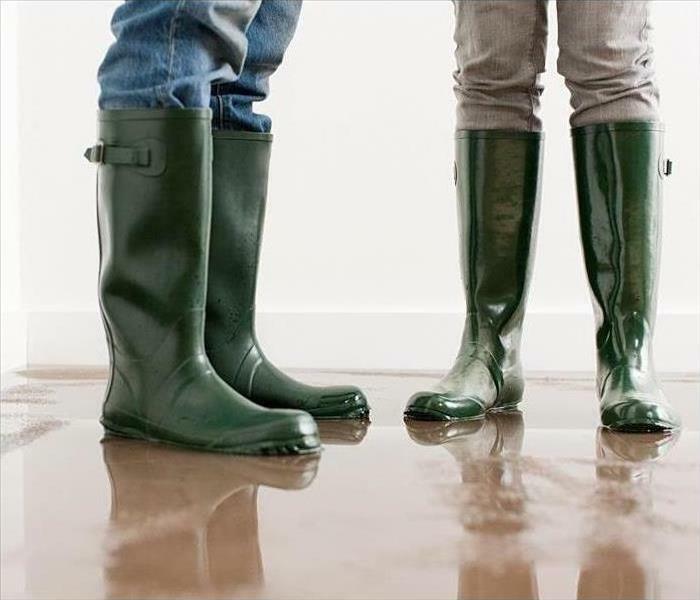 If a flood ever occurs in your home, call us at (337) 478-1133 right away. Fires pose significant immediate threats and even many lingering hazardous conditions for Lake Charles homes. Whenever a fire first breaks out in a residence, homeowners often attempt to take whatever they can carry out with them to try and protect things that cannot get replaced. While this might work for some items, many get left behind. Our professionals can help to restore these items, and further protect them from harm, with our effective mitigation practices we implement following fire effects in local properties. 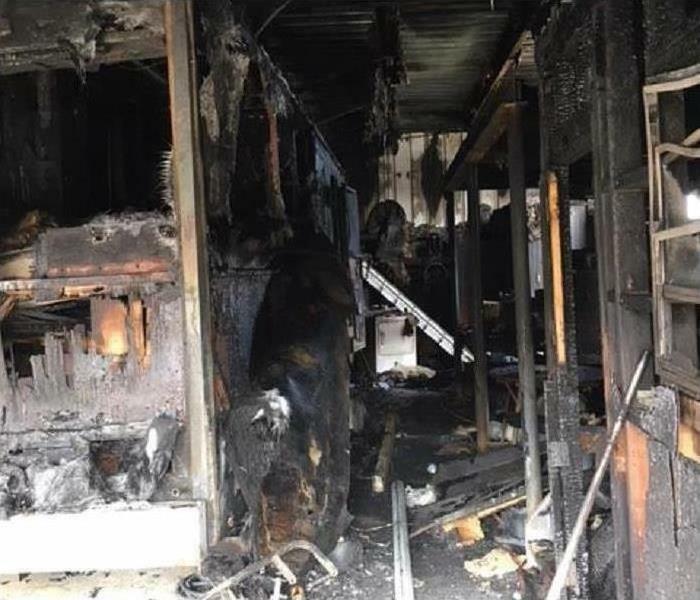 After fire damage many Lake Charles homeowners fixate most on structural damages and how these situations get resolved, and in doing this, forget momentarily about all of the items and belongings still inside the house that could get affected by the lingering damages from the recent disaster. 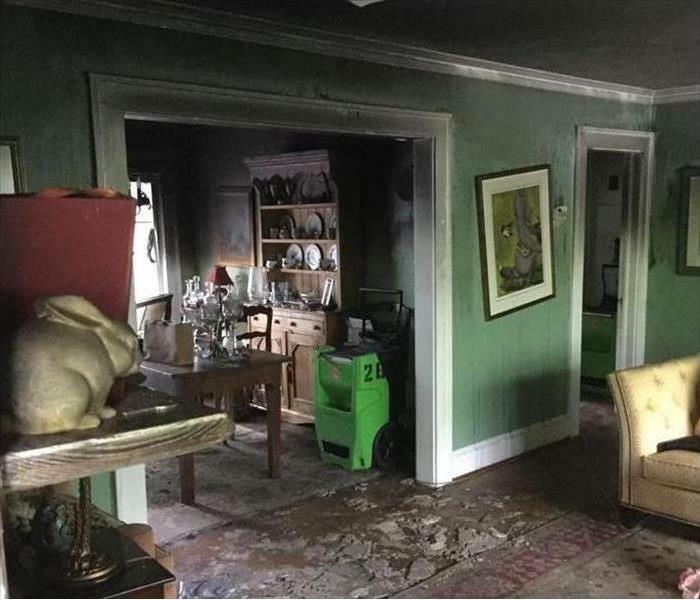 Our SERVPRO professionals arrive quickly to provide thorough assessments of the fire damage and what must happen to restore the home entirely. This process is also where our highly-trained technicians catalog damage to individual items and determine which must get removed and focused cleaning efforts to restore. Come out and experience the excitement of Lake Charles, click here for more information. SERVPRO of Lake Charles services Lake Charles and much of Southwest Louisiana. We provide cleanup and restoration services to commercial and residential facilities. Our services include water damage restoration, fire damage restoration, mold remediation, storm damage restoration, duct cleaning, carpet and hard surface floor cleaning. A fast response will help to reduce the amount of damage caused to your home or business. SERVPRO of Lake Charles is a local business right in the community, and not only are we close by, we provide restoration services 24 hours a day, 7 days a week, including all holidays. Call us day or night – we respond immediately. Property damage is often a distressing event, that’s why we want to make the restoration process easy. We work with you and your insurance company directly for a stress free claims process. Locally owned with national resources, our customers get the best of both worlds. At SERVPRO of Lake Charles, we are proud to provide the amazing SERVPRO service to our community and surrounding area. When the job is done our technician provides validation and documentation that your property is dry and the job is complete so you can feel confident, safe and comfortable. SERVPRO is a nationally known company across the U.S. and Canada. These are just our top 3 reasons. Truthfully, there are many more reasons why you should choose SERVPRO Lake Charles including that we are straightforward, we are professional, we help restore your property, we answer all questions and concerns, we help manage insurance paperwork, and much more. If your commercial property is struck by a disaster such as, flood or fire it is best to call in a team of trained professionals. Think before you act and never re-enter a building without knowing it is safe to do so. SERVPRO of Lake Charles cares about your business and we care about your safety. After a flood or fire in your commercial building, there are several things to consider. Is there live electricity, is the structure safe from falling, is the water clean? These are all things that the technicians at SERVPRO of Lake Charles are trained to look for and when necessary contact the appropriate professionals to assist. Dial the number (337) 478-1133 to reach out to and speak with SERVPRO of Lake Charles. No matter the time or the day of the week, our technicians are ready to assist you. Click here for more about Lake Charles. Got Flood Damage In Your Lake Charles Business? When it comes to any city that is situated by a river, bayou or body of water, an excess volume of rain can end up causing flood damage to the buildings around it. Your business, may have suffered this exact problem. As the water levels rose, they began to overtake buildings close by throughout the night. Upon arriving at your establishment in the morning, you entered the space to find a few inches of water scattered across the flooring. It is vital for you to call professional services when your Lake Charles business experiences flood damage. Leaving the water for an extended period can only cause more problems, such as the water absorbing into your wooden flooring. Additionally, flood water usually is not clean water, unlike the liquid that would come from a burst pipe inside of your shop. Because of the nature of floods, the water can bring sewage, chemicals, and bacteria into your business. Getting professionals to the scene allows you to avoid the unsanitary water and gives us the chance to remove it safely. When a thunderstorm causes flood damage to your establishment, never delay when trying to get help. Dial the number (337) 478-1133 to reach out to and speak with SERVPRO of Lake Charles. No matter the time or the day of the week, our technicians are ready to assist you. 3/15/2019 - Are your air ducts dirty? 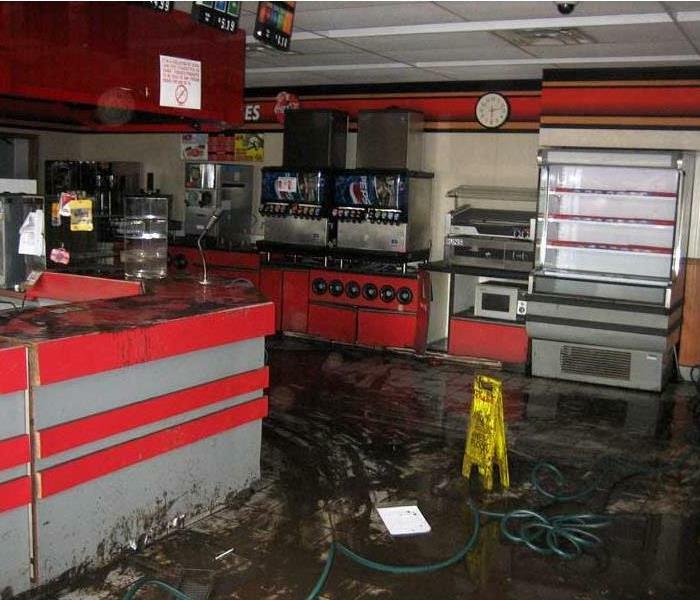 1/4/2019 - Got Flood Damage In Your Lake Charles Business?